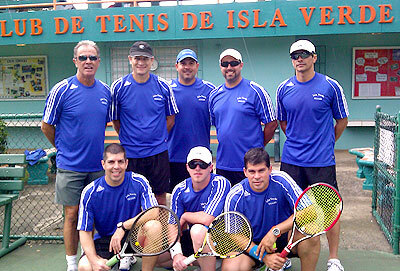 IslaVerde Tennis Men 2.0 Team. Today match with Manati. We won 3-0. Kamil, Claudio, Daniel,Luis, Jorge, Jonathan, Robert,Carlos. Well Hanna Fox age 5, Miranda Torres age 6, Elithabeth Rivera age 6 just hit a 100 balls over the net. Thanks to coach Jamie. 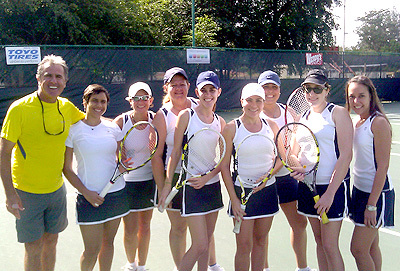 Great news the Isla Verde ladies 2.0 team has won their first two matches 3-0, 3-0. 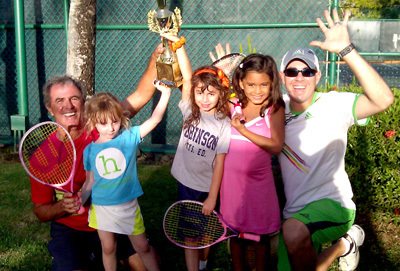 In this picture is our coach Kamil Assad and the players Zahira Rodriguez, Carol Mirabal, Wilma Colon, Jilmarie Casas, Vanessa Ramirez, Maria Sueiro, Frances Melendez y Barbara Rivera. Come and support our next matches. We are going to keep you posted. © Copyright 2012 Fenn Design All Rights Reserved.